I am the sabrage in a candlelit cellar. I am black and white movies at The Screening Room. I am curated works on the walls of Grade Provence. I am the gastronomy of the Tasting Room. I am the rose-lined vineyards of the Valley. I am Cape Winelands, Emerald Circle Agent, Doug Gurr. 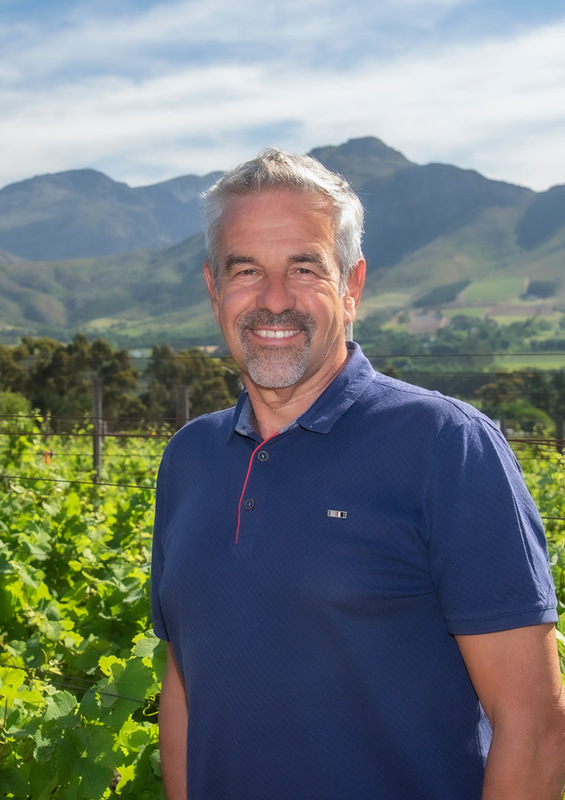 Hello, I’m Doug, and I have lived and worked in Franschhoek since 2002 after I moved here from the UK, having originally visited the area back in 1992. I first owned a small farm and later built a large family house where I stayed for a number of years, before building my last home in one of our premier security estates. I now live in the centre of the village in close proximity to all the amenities. My years here have provided me with wonderful experiences and an excellent awareness of what the Winelands have to offer. For my first few years in Franschhoek, I was a property developer and gained extensive knowledge of designing and building in the area. I also gained an understanding of craftsman and artisans who work in the region, as well as an appreciation for what they do. This experience led me to my becoming an agent for Pam Golding Properties in 2008 – a move that further complemented my own personal and family life in the valley. My passion and love for everything this region offers, from the remarkable natural beauty and diverse community, to world-class restaurants, wine estates and sophisticated culture all encourage me to promote life in Franschhoek. Living and working in Franschhoek has provided me with an intimate knowledge of the region. Whether you’re looking for an apartment, cottage, family home, or wine estate, or considering building, I have the experience required to guide you in discovering your dream home. This instinctive approach has made me one of the top real estate agents in Boland and Overberg. I hold a Professional Practitioner in Real Estate qualification; I was named a Gold Club Agent for four consecutive years from 2012 to 2015, and was named an Emerald Circle agent in 2015. My two children attended the highly regarded Bridge House School, with my son entering in Grade 0 and matriculating thirteen years later from the same world-class educational facility. I feel privileged to live and work in an outstanding region of South Africa and all of my experiences have provided an excellent all round insight into living in the area. My passion and love for everything this region offers is what encourages me to promote life in Franschhoek.